For over a hundred years, the witch Metallia has been unable to venture beyond the confines of her swamp. And when the world won’t come to the swamp, the only thing you can do is take the swamp to the world. To that end, she summons an armoured familiar – the Hundred Knight – to break the pillars that keep the swamp contained and spread her power across the world. Bound by Metallia’s magic, the Hundred Knight loyally obeys his mistress, but is that really the best thing to do? Just why is Metallia confined to the swamp anyway, and what will happen if she is allowed to roam freely across the land? They may have earned a cult following for their deep and complex strategy RPGs, but in recent years, Nippon Ichi Software’s output has been less than impressive. With seemingly endless remakes and spin-offs of their flagship Disgaea franchise, and little in the way of original content, it had begun to seem as if they’d gone off the boil. 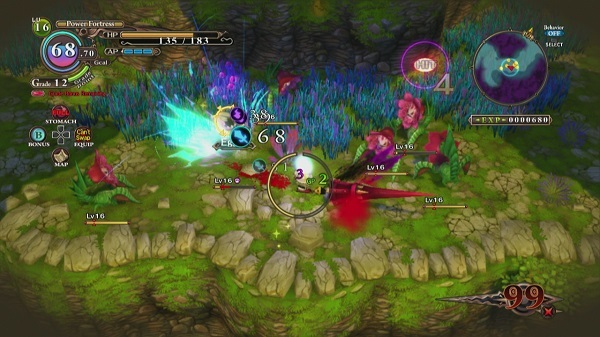 With last year’s roguelike The Guided Fate Paradox and now an action RPG in the form of The Witch and The Hundred Knight, however, it looks like NIS are finally spreading their wings and trying something new – albeit with mixed results. 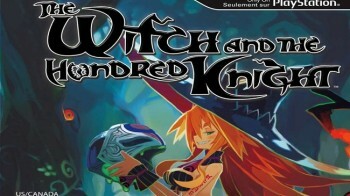 The game casts you in the role of the eponymous Hundred Knight, a silent protagonist working for the Swamp Witch Metallia. From your base in Metallia’s swamp, you are dispatched to conquer various maps by exploring the territory, fighting monsters and inevitably confronting bosses. On the surface, it seems like standard action-RPG fare, but as with all Nippon Ichi games, a lot of detail has been put into the gameplay. Not only do you have to worry about HP for life and stamina for attacking and defending – the Hundred Knight’s survival also depends on GigaCals, essentially the life force he needs to exist away from Metallia’s presence. HP and stamina will regenerate over time, but everything the Hundred Knight does will drain his GigaCals, limiting your time out in the field. You can consume enemies or use items and bonus points to replenish it, but ultimately it forces you to complete most maps in multiple excursions. It’s wise to return to base often anyway, because all the experience and items you gain from defeating enemies are only awarded to you once you successfully make it home. On the other hand, if you stay out in the field for longer, you can earn temporary bonuses that boost your stats and make standing up to enemies and bosses that little bit easier. If all this sounds a bit much to keep track of, don’t worry. It’s actually easier than it looks to get to grips with things, especially as the game is generous in respawning you or sending you home (albeit without your precious loot) rather than kicking you out to the dreaded game over screen. 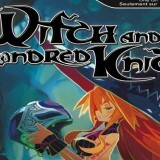 That isn’t to say that The Witch and the Hundred Knight is a breeze, however. Nippon Ichi have never been great at getting the difficulty curve right, and this game is no exception. There are points when you’ll find yourself really struggling with the simplest of enemies on a new map, only to go back to an old area for some levelling up and pick up a randomly dropped weapon or piece of armour that turns the tide. Some bosses are, as they should be, tough to beat and prone to devastating attacks if you haven’t mastered dodging and guarding, but others are laughably simple. Fortunately, aside from a few sticking points, there’s always a feeling of steadily progressing through the game, even though you never have a sense of how difficult the next map is going to be. When it comes to going on the offensive, there are, of course, plenty of options. At any one time, the Hundred Knight can equip up to five different weapons, enabling him to chain together different types of attacks that target various enemy weaknesses. There’s still no one size fits all solution, though -for example, you might equip all swords to take down an enemy who is weak against bladed attacks as fast as you can, only to round the corner and have to swap to magic attacks because the latest enemy is immune to swords. For the most part, I tried to equip a balanced ‘one size fits all’ selection of bladed, blunt and magical weapons, but I still had to swap configurations to tackle bosses and tough enemies. It would have been nice to store two or three weapon setups so I didn’t have to lose my favourite combination every time I needed to try something new. In addition to his trusty weapons, the Hundred Knight also has mini-allies at his disposal in the form of Tochka – small robots that can be used for anything from creating a diversion to trapping enemies, hitting distant switches and blowing up obstructions. Tochka slowly become more important as the game progresses, adding a bit of a puzzle element to the game. It’s not just hostiles you’ll meet on your journey, though – from time to time you’ll stumble across a town filled with innocent townspeople. Whilst there’s little to be gained from attacking these hapless innocents (in fact, do it too often and they’ll start fighting back), as you level up, you will be able to raid their homes and steal their treasures. It feels like there should be far-reaching consequences for brutally taking over towns and extorting NPCs, but what few effects there are can easily be reversed, so there’s no real reason not to be as evil as you like and then just pay the price to wipe away your bad karma. For all the effort that has been put into trying out different things gameplay-wise, The Witch and The Hundred Knight is somewhat lacking on the story front. Nippon Ichi has always struggled a bit on the story front, and this isn’t one of their better efforts. For the most part, Metallia comes across as foul-mouthed, self-absorbed and essentially irredeemable, with some of her actions being so near the knuckle as to be downright uncomfortable. 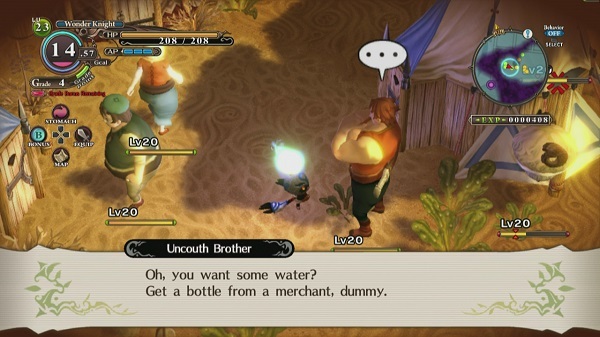 The supporting cast are largely two-dimensional and uninteresting, and while there are a few intriguing threads running through the game, such as what the Hundred Knight is and why Metallia cannot leave her swamp, for the most part, the plot is confusing and forgettable. For those used to Nippon Ichi’s ubiquitous sprite-based visuals, it will come as a surprise to learn that this is their first attempt at a game in full 3D. Their efforts in this department have paid off, and overall the 3D elements are pleasing to the eye. 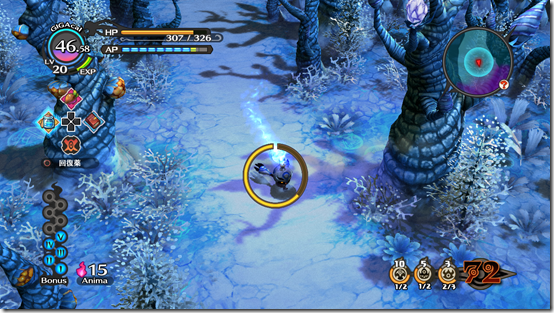 2D character art is used in cutscenes, and as usual features Takehito Harada’s distinctive designs. Background music is handled by Disgaea composer Tenpei Sato, and features a range of quirky and upbeat tracks that are decent if a little repetitive once they’ve looped a few times. 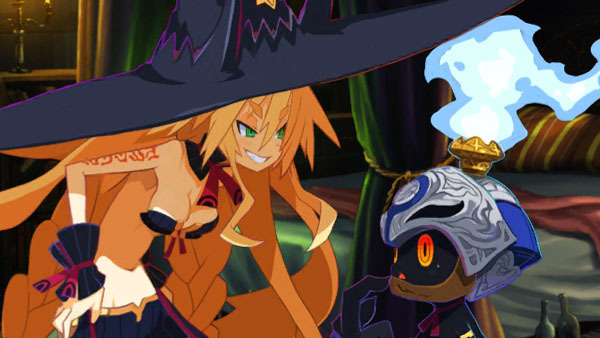 The Witch and the Hundred Knight marks developer Nippon Ichi’s first foray into action RPG territory, and it’s certainly a credible first attempt. Despite the vast array of gauges and options to keep track of, once you get into it, gameplay is solid, enjoyable and guaranteed to keep you going for a few tens of hours. It’s unfortunate that the game is let down by a dislikeable protagonist and weak story, but if Nippon Ichi can learn from their mistakes, a sequel will be well worth looking out for.